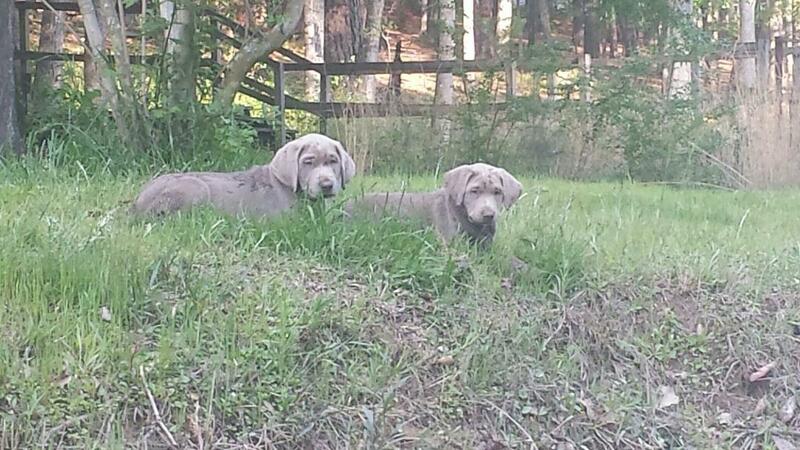 DuckCreek Labradors $1200.00. All are sold on AKC limited registration. There has been a 4% transaction charge added to the paypal purchases below. This additional charge does not go toward the purchase price of your puppy. A $250.00 deposit is required to be added to our waiting list. Your deposit is 100% refundable upon your request prior to puppy pick-up or in the event that we cannot deliver the gender/color you have requested (less any paypal fees incurred). Balance is due at the time your puppy goes home. We accept all credit cards and electronic check payments through PayPal. Personal checks are also accepted up to two weeks prior to pick-up time. Cash is always welcome. Please call to check the availability prior to purchase! Use the drop down PayPal button below to make your selection and place a deposit for you puppy. Complete the information requested. A confirmation of your deposit will be sent to you. We will also give you a call to confirm your order. When you pick up your puppy, it will be current on shots, up to date on worming protocol as deemed necessary by our Veterinarian, and dewclaws removed at 3-5 days of age. DuckCreek Puppies will also be micro-chipped with pre-paid registration. We have our veterinarian, Dr. R. Kip Warren of Winfield Veterinary Hospital administer all vaccines, dew claw removal and micro-chip procedures. Puppy Care Bag consists of: A Portfolio holding a copy of the AKC Litter Registration, copies of both parent’s pedigrees along with all genetic tests that have been done on them and an explanation or what the disorder tested for actually is, helpful information from the AKC on new puppy training and programs available through the AKC, Vet check record (physical assessment), bill of sale & copy of our Healthy & Nutritional Requirements Agreement. We will assist you in completing the AKC and Micro-chip Registrations and send them in for you (this is no additional cost to you). There will also be various toys and a puppy blanket with mother and siblings scent on it for puppy. You will be provided a 6.6 lb bag of Life’s Abundance puppy food, supplements (puppy is currently on this food and supplement), shampoo and a L.A. Treat Sample Pack. This package will assist you and puppy during transition from our home to yours. We no longer fly puppies cargo. You will be required to fly in to pick up the puppy or we will fly the puppy as carry-on to you at your expense. Road trip deliveries can also be arranged at the cost of .54/mile plus any overnight expenses. We do not ship puppies internationally.